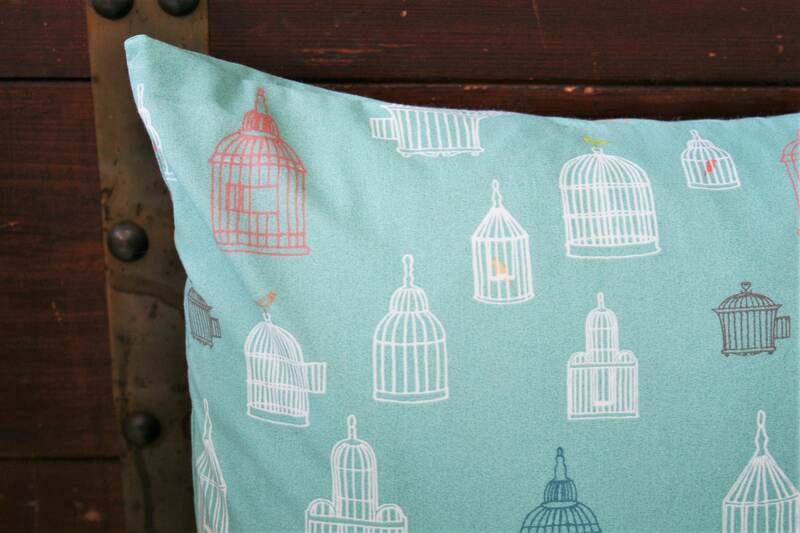 Sweet little birds and bird cages grace this light teal fabric from the Farm Fresh collection by Birch Fabrics but you can customize your pillow cover, choosing from the 6 pictured prints and some solids. 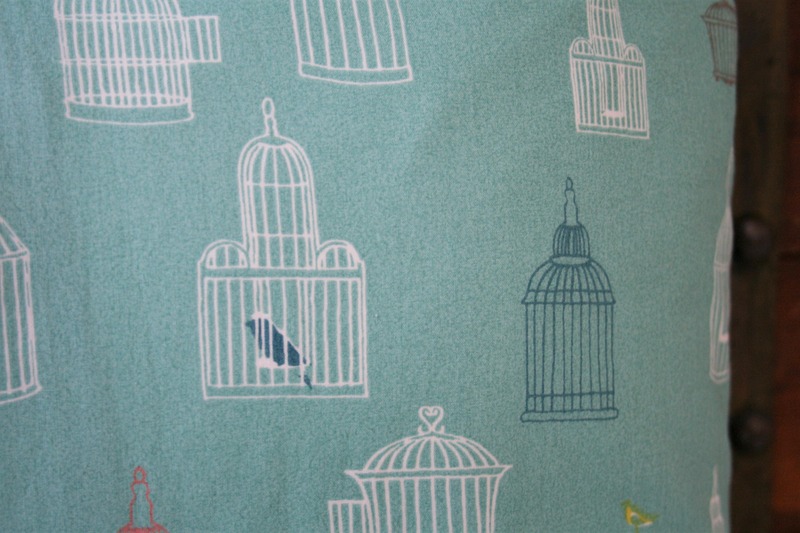 The prints include the featured birdcage print, tree print and chicken wire print, as well as a plaid print, barn door print and chevron barn floor print. 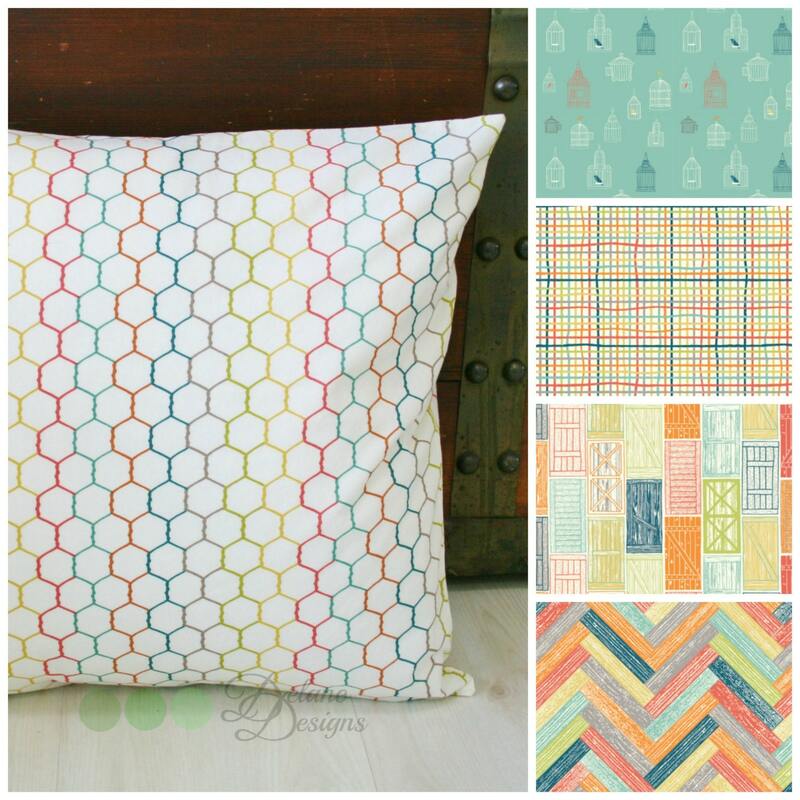 We also have solids in dark teal, light teal, golden yellow, coral red, pumpkin, gray and cream. 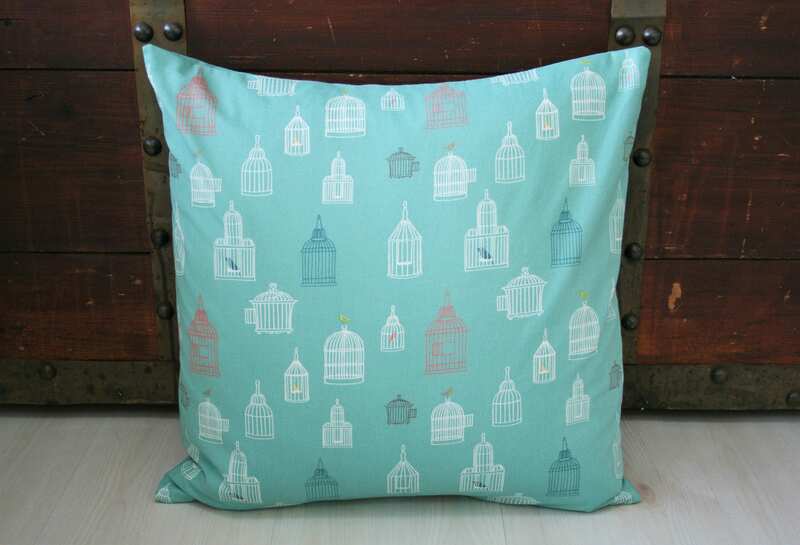 You can choose the same fabric for the front and back or different ones. 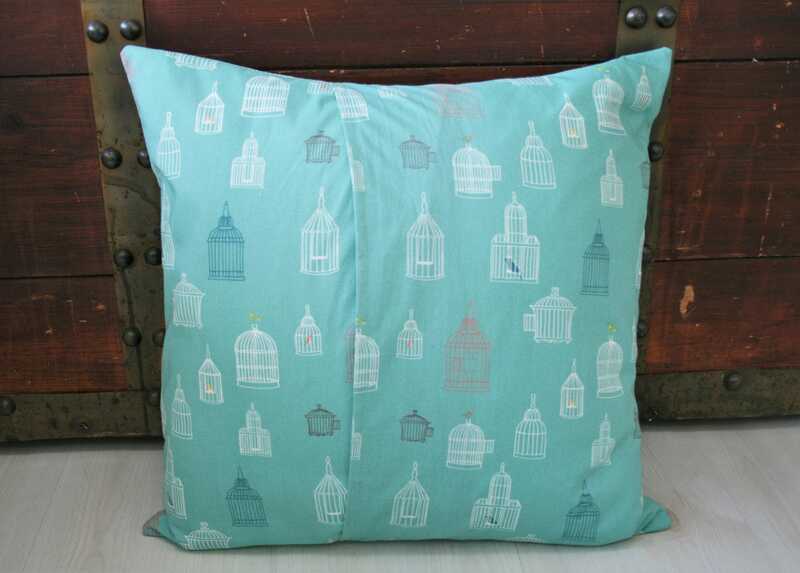 This pillow cover fits an 18" x 18" pillow insert (insert not included). It has an envelope enclosure on the back, so there are no zippers to break! IF YOU NEED A DIFFERENT SIZE PLEASE MESSAGE US AND WE WILL MAKE IT FOR YOU. The seams are serged for durability. 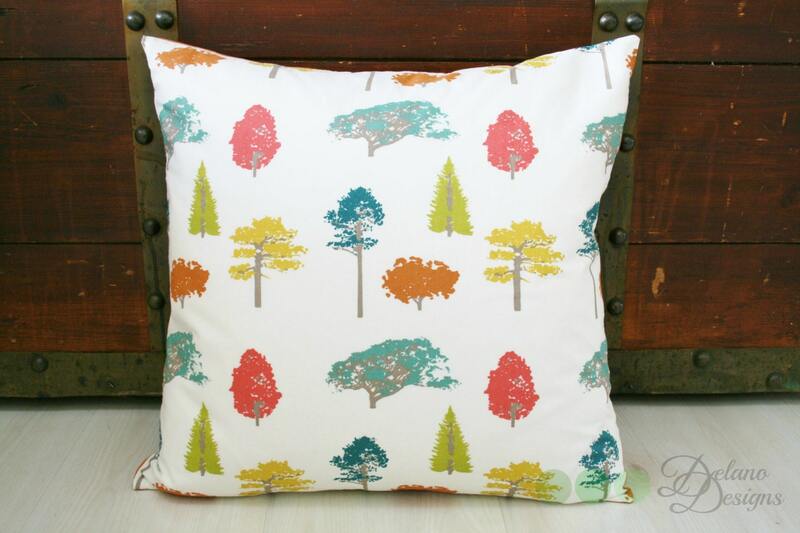 We can make this pillow cover in any of our fabrics (subject to fabric availability), just let us know what you'd like! 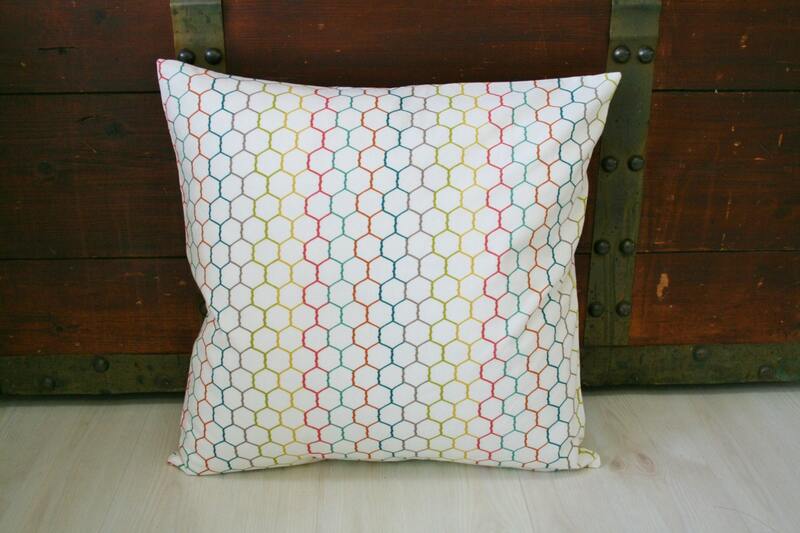 All of our fabric has been prewashed in a fragrance/chemical free detergent to minimize shrinkage. Machine wash cold, gentle cycle and tumble dry low or line dry.